America’s Test Kitchen is no stranger to content production. The organization publishes over 10 cookbooks per year and produces a half-hour cooking show that is currently airing its 17th season on public television stations. Specializing in carefully concocted recipes, America’s Test Kitchen knows how to combine the best ingredients for a delectable result—both on the table and off. This expertise has allowed the iconic brand to develop a devoted following of home cooks and television viewers who appreciate the company’s thorough scientific process for testing recipes and equipment. Online, though, America’s Test Kitchen is seeking to connect with a younger community of home cooks who have different needs and interests when it comes to culinary content. 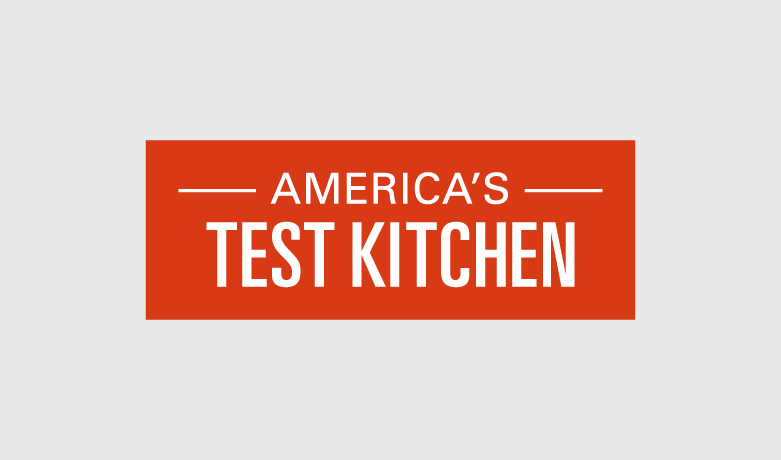 America’s Test Kitchen’s marketing efforts are largely focused on increasing web memberships through a combination of online and offline efforts. From a digital marketing perspective, turning online engagement into measurable action starts with increasing website traffic from social. America’s Test Kitchen has established a foothold in the competitive digital recipe market through its social efforts, capitalizing on the opportunity to attract new home cooks. 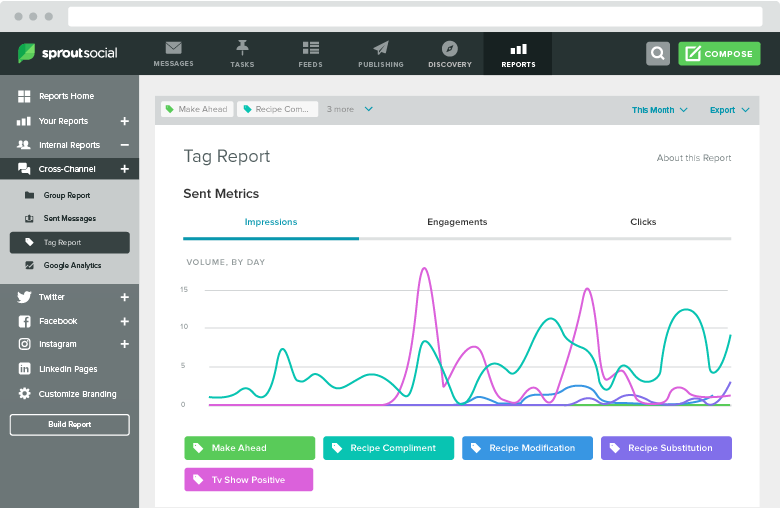 Sprout’s Tag Report provides America’s Test Kitchen with the ability to compare mentions of key topics, making it easy to identify brands and people frequently mentioned with its brand. America’s Test Kitchen uses it to tag and report on inbound messages that correlate to the brand’s offline efforts, such as positive sentiment surrounding its TV show, cookbook recipe compliments and suggested modifications. America’s Test Kitchen can track patterns related to its offline efforts to target a new digital audience while engaging more deeply with fans of the TV show and driving traffic to prompt web memberships and ecommerce purchases. America’s Test Kitchen utilizes Instagram as its primary platform for connecting with a younger audience, and with the help of Sprout’s Instagram analytics reports, the brand has achieved a 171% increase in Instagram engagement. According to a 2015 survey conducted by the Pew Research Center, Instagram use is especially high among younger adults compared to other social platforms. The survey showed 59% of online adults ages 18-29 use Instagram, compared to 33% of those ages 30-49 and 18% of those ages 50-64. As a publisher, Sprout fits our needs really well. It’s a really nice platform for content management. We get exactly what we need without paying a ton for features we’re not going to use. 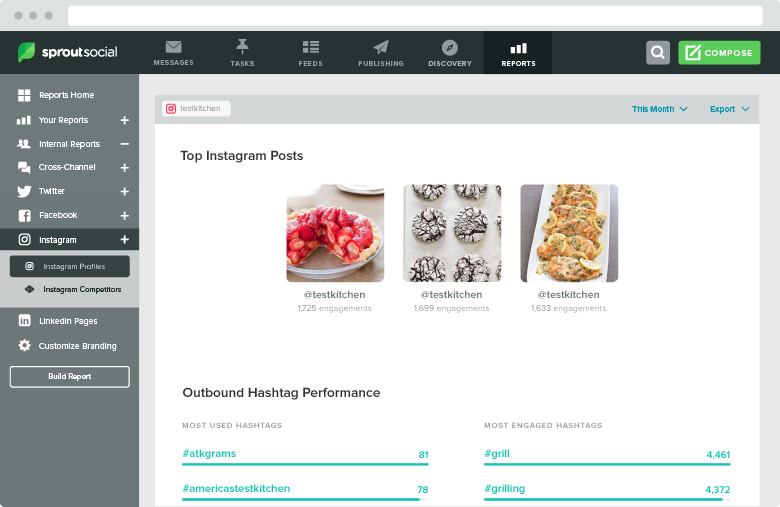 Using Sprout’s Instagram Profiles Report allows America’s Test Kitchen to identify its Top Instagram Influencers and ensure their audiences correlate with the brand’s secondary, younger Instagram audience. America’s Test Kitchen highlights photogenic recipes from its line of cookbooks, adding keywords determined by Sprout’s Outbound Hashtag Performance reports, such as #baking and #grilling. Home cooks are encouraged to post images of their own using #atkgrams, increasing brand awareness among their followers. Television audiences increasingly engage in second screen activity on their mobile devices while watching television, whether tweeting their own reactions or searching for similar information. According to a 2017 survey by the Interactive Advertising Bureau, 81% of online adults use a second screen to access content while they watch TV. America’s Test Kitchen has capitalized on this by featuring recipes and key moments from the television show using #ATKseason17, which quickly became one of its top-three most engaged hashtags. Viewers can simultaneously follow the action online and engage with other viewers while America’s Test Kitchen can connect more deeply with its viewers. America’s Test Kitchen’s efforts have produced a 31% increase in Instagram engagement, including a 59% increase in Instagram comments. 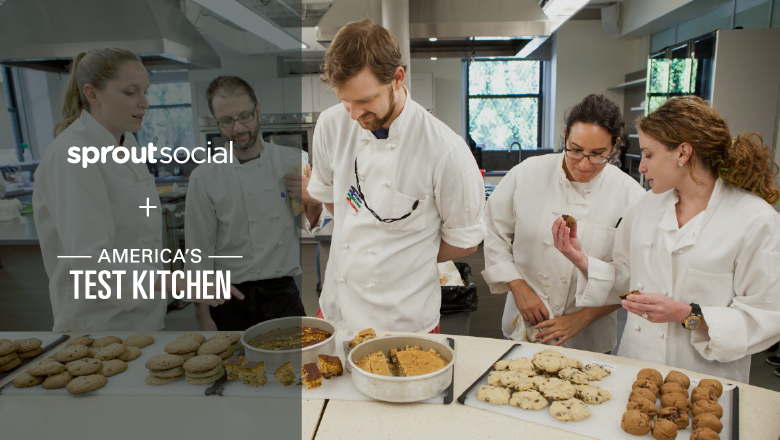 One of the challenges America’s Test Kitchen’s social team faces is the management of multiple concurrent digital campaigns that encourage online and offline actions. The team develops a social campaign each time a new cookbook is published, as well as using social platforms as a way to engage with fans while the TV show is on the air. America’s Test Kitchen uses Sprout’s social media publishing tools to manage social posts across multiple campaigns, profiles and platforms. As video recipes take over Facebook’s News Feed, America’s Test Kitchen is faced with steep competition in the realm of food-related Facebook content. By using Sprout’s Facebook analytics, America’s Test Kitchen can evaluate what resonates with its fans and find a way to reach its target audience. Connect with America’s Test Kitchen on Facebook, Twitter, Pinterest and Instagram to see what they cook up next.